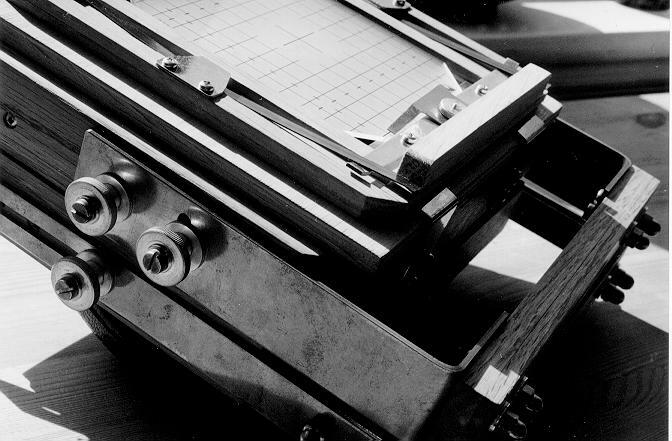 Plans and Instructions for Building a 4 x 5 Monorail Camera. Second, revised edition. Oslo, Norway 2000. 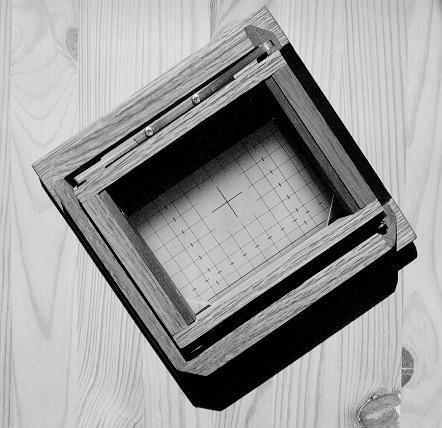 My book Building a Large Format Camera is an 85 page manual with instructions and plans for building a 4 x 5 in. 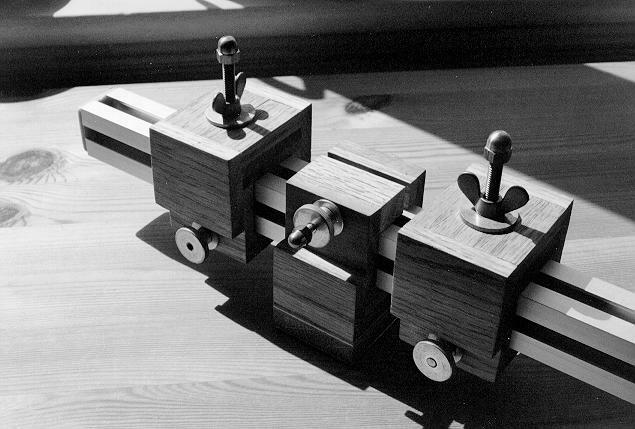 monorail camera with friction focusing. The book has 30 step-by-step drawings, 23 sketches and 11 photographs, a wealth of references to relevant literature and numerous useful addresses in the US and Europe. Most drawings are to scale. 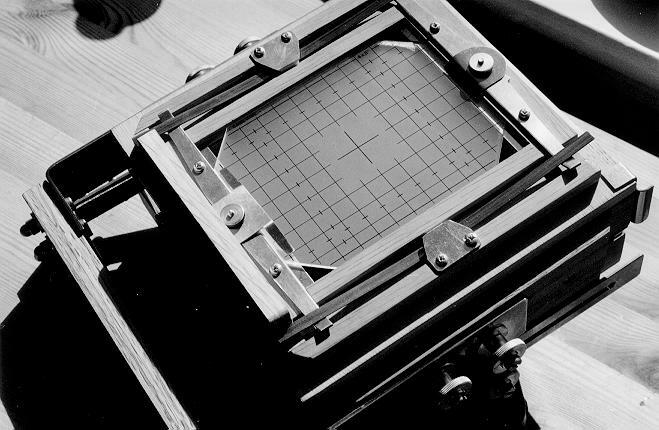 paragraphs on scaling the plans up for an 8 x 10 camera. 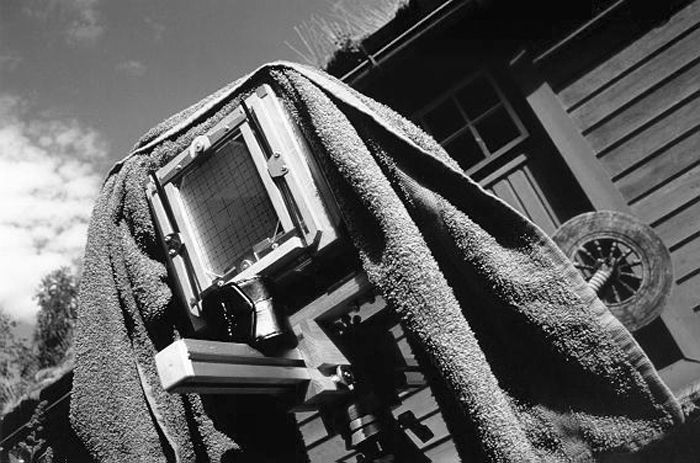 (you may also make your own ground glass), lens. Please note that my book is copyrighted and cannot be uploaded to other websites without my permission. My camera in the field. 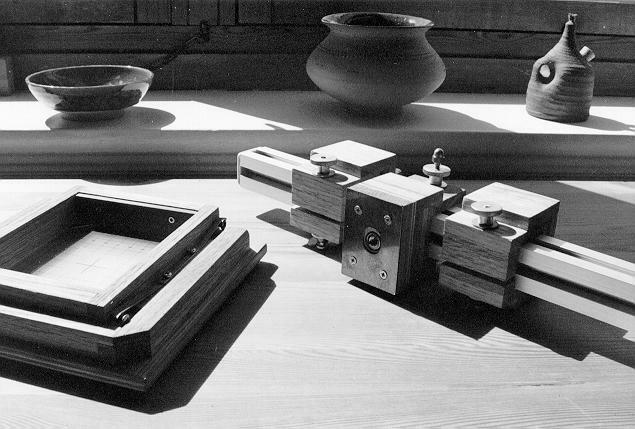 The camera folded is about 25 x 25 x 10 cm. 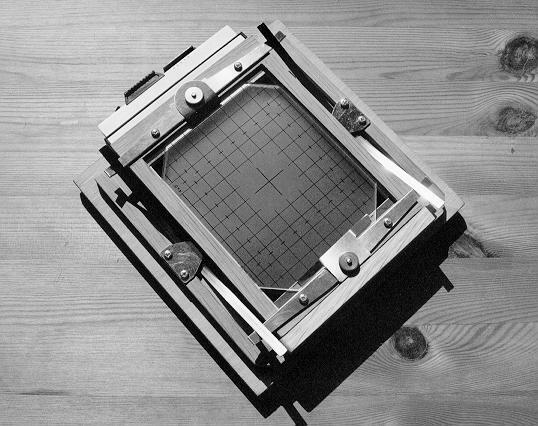 My latest design of a ground glass frame. 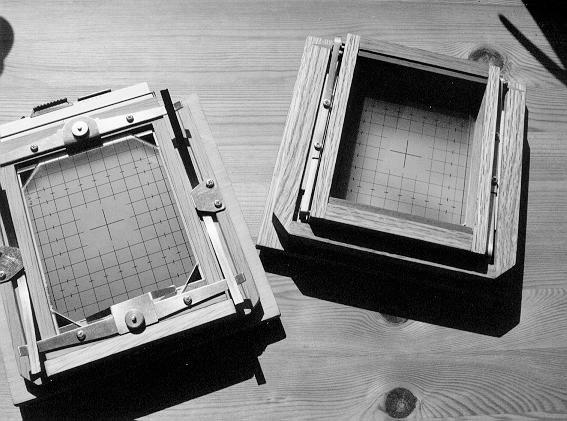 Two designs of a ground glass frame. The version to the right was my original design (used in the first edition of my manual). The version to the left is a more sophisticated design (included in the second edition of my manual). My latest design of the camera back and a ground glass frame (film holder inserted). My first design of the camera back and ground glass frame. 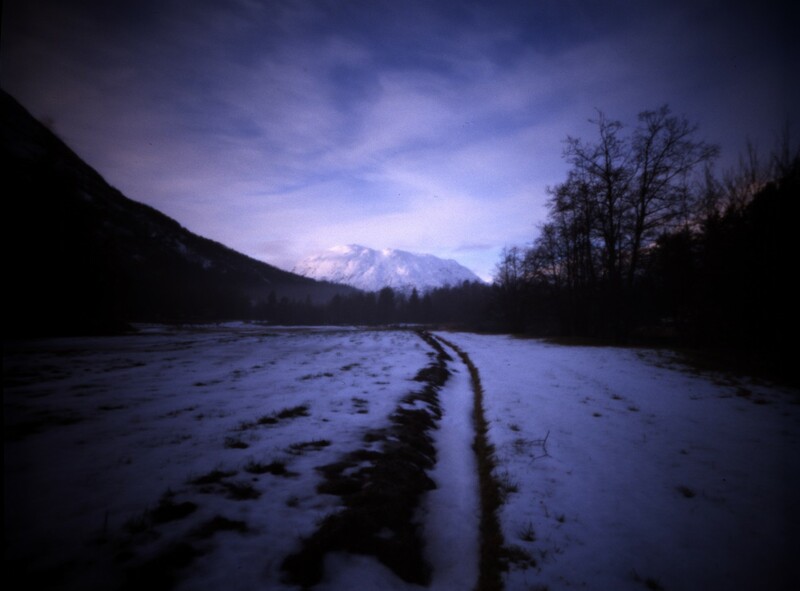 is based on friction focusing. 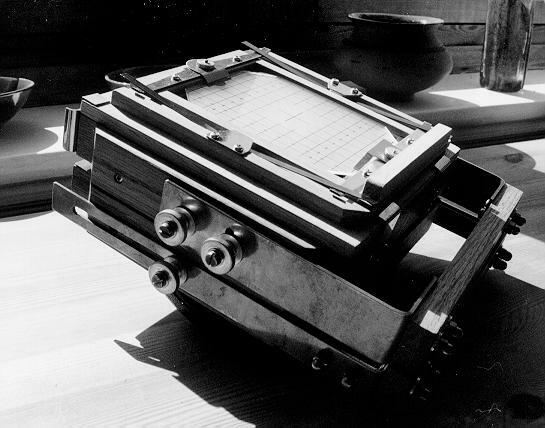 The optical bench – bottom view. Close-up of the camera back.